Harshavardhan focuses on WSO2 integration with Jiva – a population health management solution. 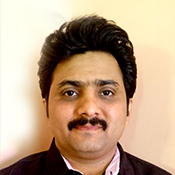 He has eight years of professional experience in designing and developing enterprise applications and expertise in various domains including mobile, healthcare and browser technology. 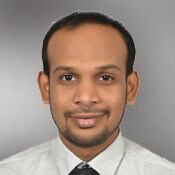 Praveen specializes in developing web services integration frameworks using Python, Java and related technologies. He has been working in the healthcare domain for more than six years. He passionate about open source technologies. He holds a Master of Computer Applications from Karnatak University, India.